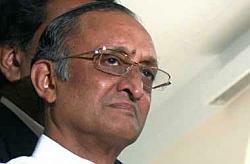 West Bengal's growth rate was higher than the whole country's in the first two quarters of the current financial year, state Finance minister Amit Mitra said on Monday. "During the first two quarters of the fiscal, growth in state domestic product (SDP) was higher than the national GDP," Mitra told reporters after the pre-budget meeting with various chambers of commerce, industry and trade bodies. He said that data for the third quarter have not been computed yet. "When the new government came to power, the tax collection was Rs 21,000 crore (Rs 210 billion). In two years, there will an increase of Rs 10,000 crore (Rs 100 billion)," he said. Mitra said that this had been made possible by the introduction of e-based tax collection system which had increased compliance to a great extent and eliminated corruption. The minister said that the interaction with the chambers and trade bodies was very 'positive and encouraging'.